Home School Communications Books are perfect for helping pupils, teachers, T.A.s and parents to keep track of a child's work and progress. 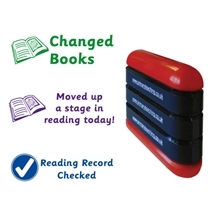 Pupils can use these great Home School Record Books to plan their homework and record their learning progress. Are you looking for Homework Diaries? Click here. To view the full PTS Record Book Range click here.